Click on the image below to see this years program. Les mer for å se videoer for festivalen. Ferhat Tunc was the guest of Red Zone 2016. The theme for the Festival’s eighth season was “Freedom of Artistic Expression and Breaking the Barriers”. The singer gave two concerts, the first in Tunisia on May 14 and in Beirut on May 16. 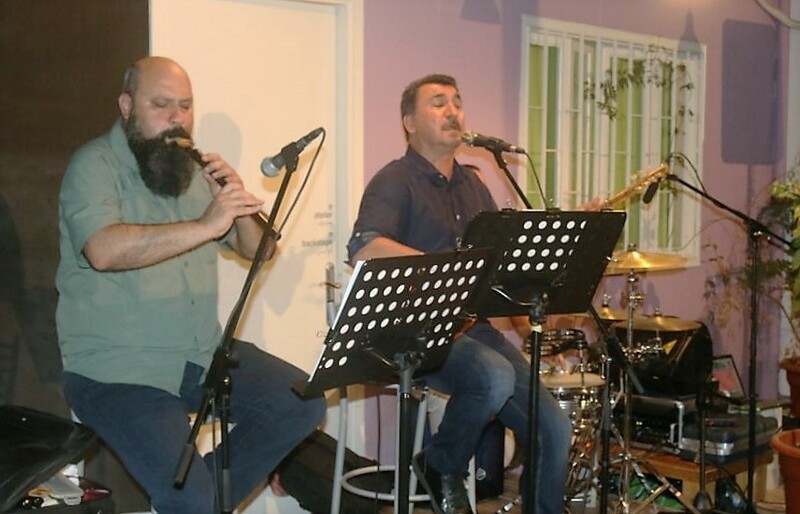 Accompanying the singer was Ertan Tekin, the famous duduk (wind instrument) player. Singer Ferhat Tunc, last night put on a memorable concert in Beirut, following a performance in Tunisia as a guest of the Red Zone 2016. The Beirut Onomatopoeia Music Hub was filled to capacity as Beirutians witnessed an unforgettable performance. 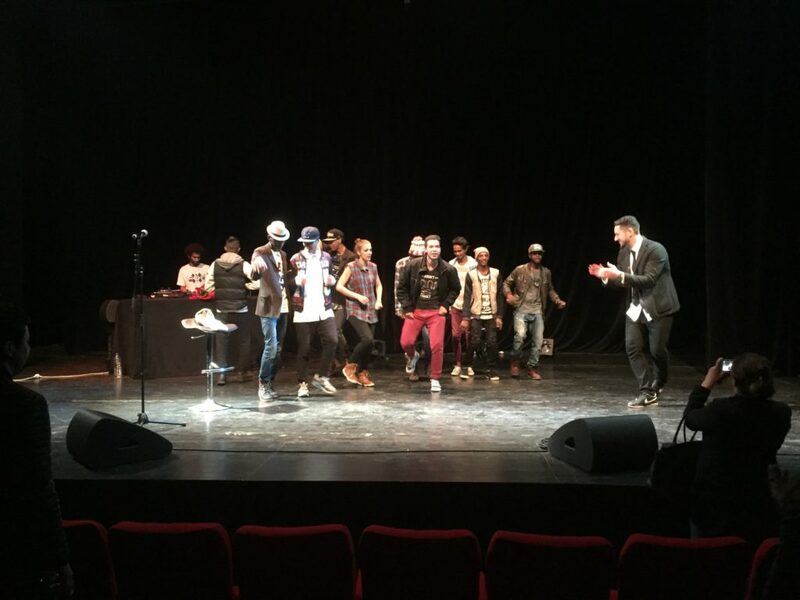 The Syrian/American Hip-Hop artist Omar Offendum was the opening act at the Redzone 2016 festival in Tunis on Saturday (May 7). The Redzone 2016 festival highlights freedom of expression through the arts. It is initiated and funded by KKV in cooperation with the Norwegian ministry of foreign affairs. The festival which happens simultaneously in Tunis and Beirut is organized by Cultural Resource (Al Mawred Al Thaqafy) in partnership with local venues. The concert on Saturday happened at RIO in Tunis. On Wednesday May 11 Omar Offendum plays at Radio Beirut. Bilder av artikkelen i Vårt Land 18. april 2015. Norges Fredsråd – The Norwegian Council of Peace – has decided to highlight this year’s Redzone festival as the profile of peace in the month of March 2015. The festival is regarded by the council as the last month’s most important Norwegian initiative in the work for peace. Utrop skriver om Sanger om ikke å glemme. Kirkelig Kulturverksted (KKV) wants through REDZONE 2015 to point at a dimension of the freedom of expression, which shows the ability of the arts to dig deeply into the darkness of oblivion and concealment in the history of mankind. At these times of polarization, when the freedom of expression is being used in order to increase Western arrogance, and where the tabloid version of reality has become an imperative under the flag of freedom of expression, REDZONE is a relevant reminder of the necessity of showing complex historical contexts. In 1915 the Turks performed genocide on the Armenians living in Anatolia. Turkey has later on neither taken any step to regret the events, nor put up a trial for bringing the guilty ones to justice, the way the Germans did after Holocaust. On the contrary, the Turkish state denies that what was going on was expelling, mere massacres and exterminations. This ethnic cleansing also happened to several other minorities, like for instance those who belonged to the Syrian Orthodox Church and had lived in the area and practiced their religion for almost 1900 years. The Western world has also contributed by concealing this part of history. Few countries have dared to demand that Turkey confronts their terrible acts, which is necessary to be able to create reconciliation and to give the many minorities in the country a safe confidence that similar scenarios will never again happen in the future. 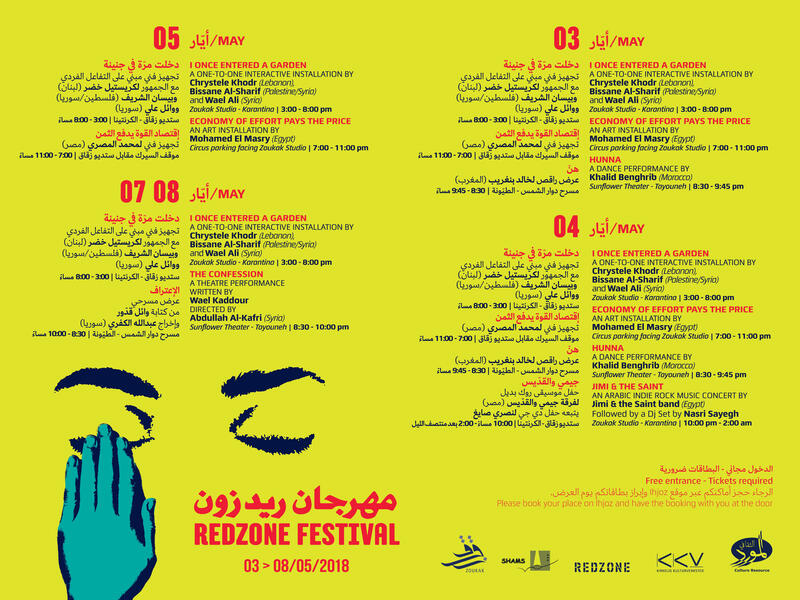 At the time when the world commemorates that 100 years has gone since the genocide, KKV has decided to dedicate this year’s REDZONE festival to the Armenian tragedy. 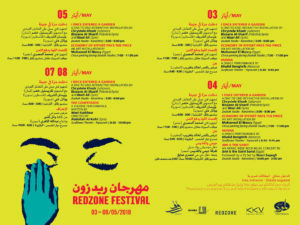 REDZONE is a festival, which highlights the freedom of expression through the arts. It is annually arranged by KKV; every other year in Oslo and in a city in the Middle East. The first edition took place in Oslo in 2013. In 2014 it happened in Beirut and Cairo. In 2015 it is once again back in Oslo. The REDZONE festival is supported by The Free Word Foundation and The Norwegian Ministry of Foreign Affairs. See press text for 2014, and 2013. En festival om ytringsfrihet i kunst. Kirkelig Kulturverksted ønsker med REDZONE 2015 å vise en dimensjon ved ytringsfriheten som handler om kunstens evne til å pløye dypt inn i forglemmelsen og fortielsens avkroker i menneskehetens historie. I denne polariseringens tid hvor ytringsfriheten brukes til å forsterke vestlig arroganse, og hvor tabloidisering av virkeligheten er et imperativ under ytringsfrihetens fane, er REDZONE en betimelig påminnelse om nødvendigheten av å formidle komplekse historiske sammenhenger. I 1915 gjennomførte tyrkerne et folkemord på armenerne som bodde i landet. Tyrkia har aldri siden gjort noe for å beklage dette, eller gjennomføre et rettsoppgjør slik tyskerne gjorde etter Holocaust. Tvert imot benekter landet at det som foregikk var utdrivelser, rene massakrer og masseutryddelser. Det gjelder også flere andre minoriteter som for eksempel de syrisk-ortodokse som ble utsatt for liknende former for etnisk rensing. Vesten har også bidratt ved å fortie denne historien. Få land har våget å kreve at Tyrkia tar et oppgjør med folkemordet, et oppgjør som er nødvendig for å skape forsoning og for å kunne gi landets mange minoritetsgrupper trygghet for at et liknende scenario er utenkelig i fremtiden. I anledning 100-års markeringen i 2015 har Kirkelig Kulturverksted bestemt seg for å vie årets REDZONE-festival til den armenske tragedien. REDZONE er en festival som setter søkelys på ytringsfrihet i kunst. Den arrangeres årlig av Kirkelig Kulturverksted, annethvert år i Oslo og et land i Midtøsten. Første gang var i 2013 i Oslo, i 2014 fant den sted i Beirut og Kairo. I 2015 er den igjen tilbake i Oslo. Det blir Teaterforestilling i Kanonhallen, konsert, utstilling, film og debatt i Kulturkirken Jakob. mars på ”Music Freedom Day”, vil Elias Akselsen fra Norge sammen med armenske, persiske og kurdiske sangere og musikere, blant dem Murat Iclinalca, Ashugh Leyli, Dengbesz Kazo, Deng Bej Gazin og Marjan Vahdat gi konserten ”A Hundred Years of Oblivion” i Kulturkirken Jakob. 5. og 6.mars viser den polske teatergruppen Teatr ZAR fra Wroclaw stykket ”Armine, Sister” i Kanonhallen. Ensemblet har på bakgrunn av studier i Østre Anatolia, under ledelse av regissøren Jaroslaw Fret skapt en forestilling som speiler folkemordet gjennom en drøy time ordløs og fortettet dramatikk. Et levende soundtrack av vokalmusikk fra sangere som representerer de ulike minoritetene i Øst-Anatolia er en kraftfull ingrediens i stykket som hittil har vært vist i Polen og England. I regi av REDZONE får stykket Skandinavia-premiere. til 8.mars vises utstillingen ”Images from Anatolia” i ”Jakobs Brønn” i Kulturkirken Jakob. Den viser fotos av den polske fotokunstneren Magdalena Madra og er kuratert av Berit Hunnestad i Kirkelig Kulturverksted. mars vises dokumentarfilmen ”Grandma’s Tattoos” i Kulturkirken Jakob. Den er skapt av Suzanne Khardalian, en armenskættet filmskaper bosatt i Stockholm. Filmen viser kvinneskjebner i kjølvannet av folkemordet. mars arrangeres debatten ”Forgotten by the world, the selective memory of the West”. Her innleder Bård Larsen og Frida Sebina Skatvik fra Holocaustsenteret sammen med Ara Sarafian, armensk historiker, bosatt i London. mars holder regissøren Jaroslaw Fret fra Teatr ZAR en ”Work Demonstration” i Kulturkirken Jakob, der han redegjør for hvordan forestillingen ”Armine, Sister” ble utviklet. REDZONE er støttet av Fritt Ord og Utenriksdepartementet. Se pressetekst for 2014, og 2013. 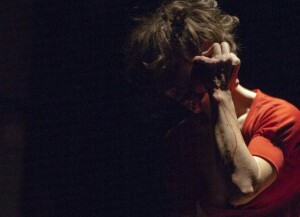 I dag er det Norgespremiere på Kate Pendry’s “Points of Pain” som hadde verdenspremiere i Beirut under Redzone. Les lederen på KKV sine nettsider og på Dagbladet.no (krever Dagbladet+). Du kan også lese om “Points of Pain” på NRK.no. Article about Mahsa and Marjan’s concert in Beirut on skou.net.